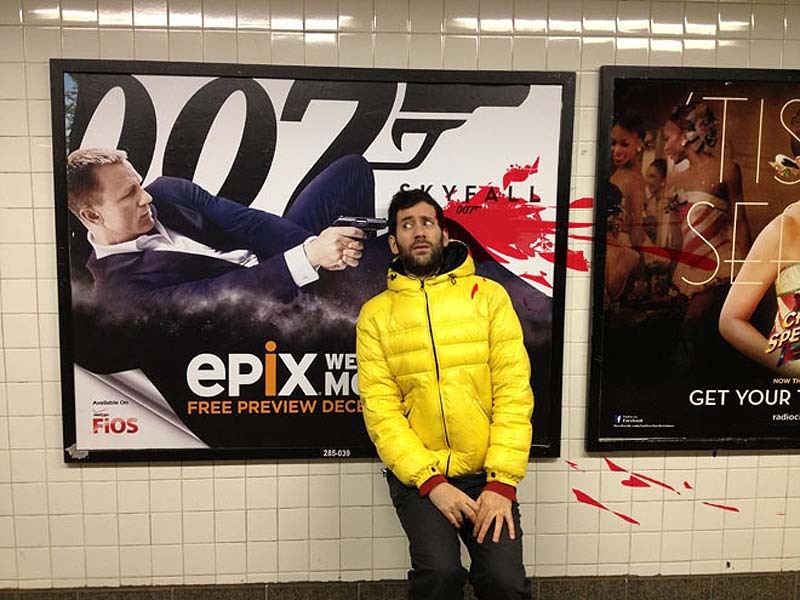 The always-wacky usually-less-bloody Jon Burgerman (previously here) has a an ongoing series of interventions staged in front of film and television ad panels, photographing himself perfectly situated as the target of the pointed gun, arrow, or other weapon of choice in each poster. These Head Shots, as the series is called, are then digitally manipulated, adding splattered blood in a Tarantinoesque fashion. Definitely a departure from the cute characters he usually draws, but still, somehow, very Burgerman. You might like his Korean Subway series, too. 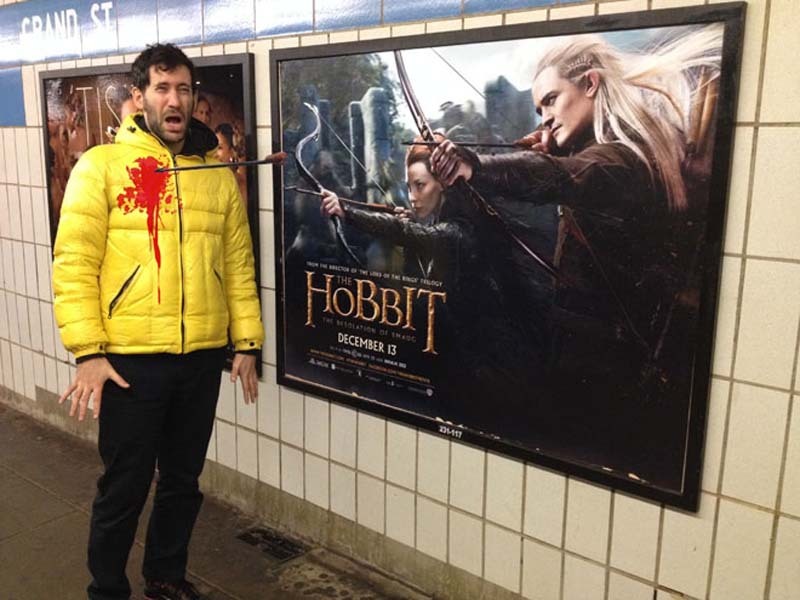 This entry was posted in Art, Fun, Photography, Pop Culture, Stuff We Like. Bookmark the permalink.